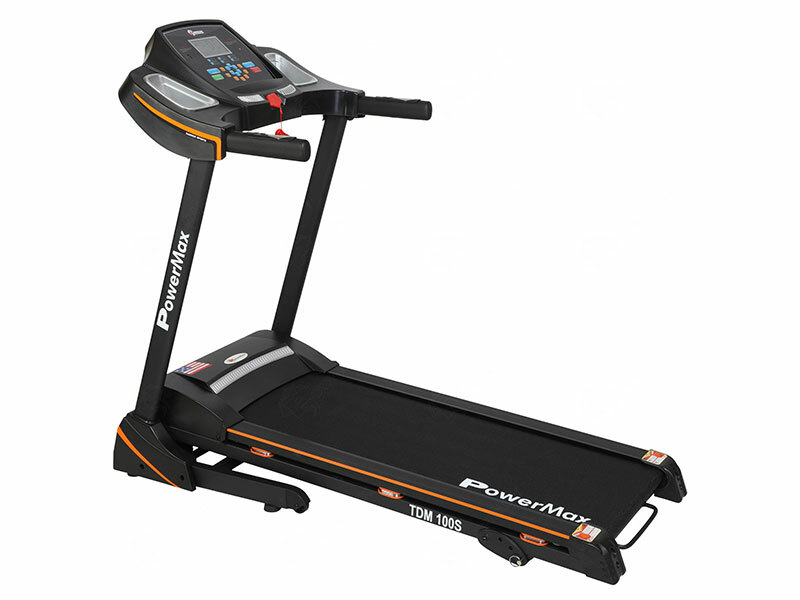 The Powermax Fitness TDM-110 Motorized Treadmill with 7.2” Vivid Color Display offers smooth ride with 2.0HP DC Green efficient Motor and it has 4 level of manual incline for comfortable running as per requirement while the LCD display tracks your distance, time, speed, calories burned, heartbeat and fat measurement. 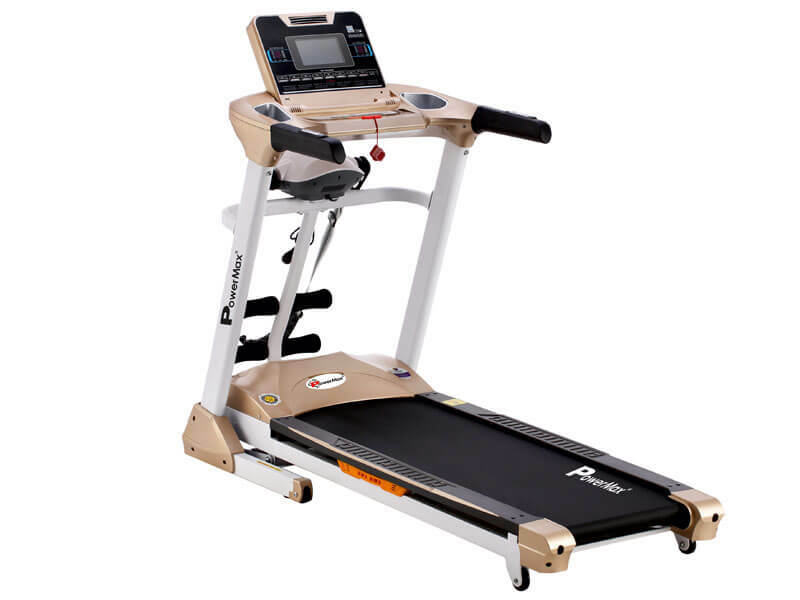 The additional benefits for one is 6-Level Damping System & Variable Durometer Elastometer Cushions, you'll stay comfortable throughout each stride. 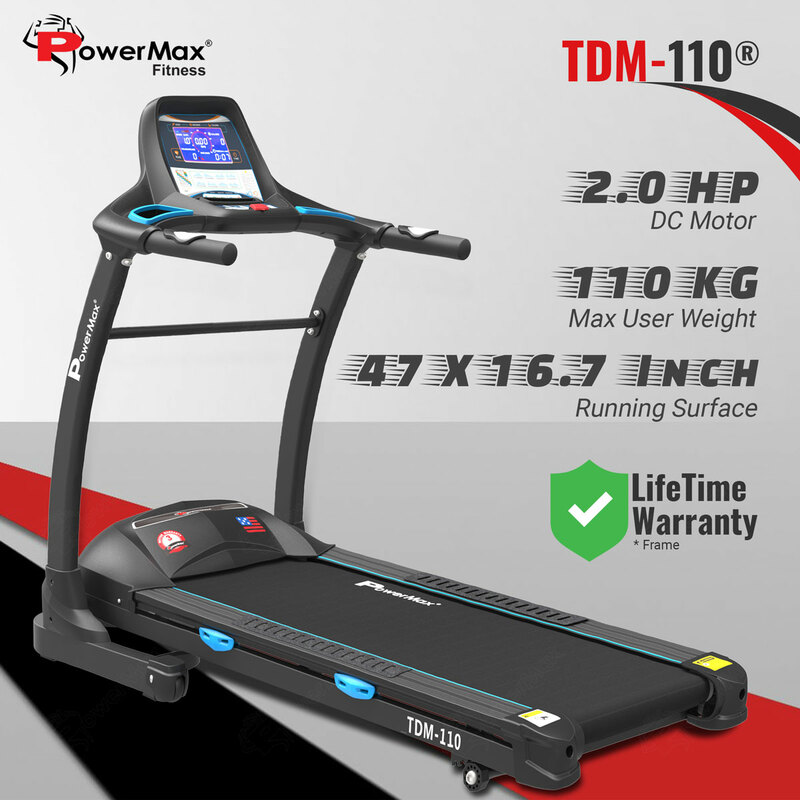 The Powermax Fitness TDM-110 Motorized Treadmill with 7.2” Vivid Color Display offers smooth ride with 2.0HP DC Green efficient Motor and it has 4 level of manual incline for comfortable running as per requirement while the LCD display tracks your distance, time, speed, calories burned, heartbeat and fat measurement. 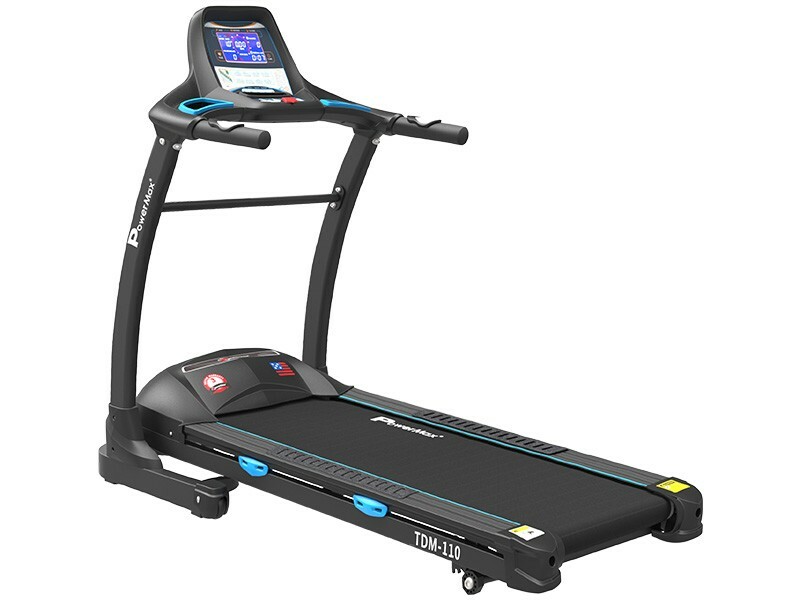 The additional benefits for one is 6-Level Damping System & Variable Durometer Elastometer Cushions, you'll stay comfortable throughout each stride. 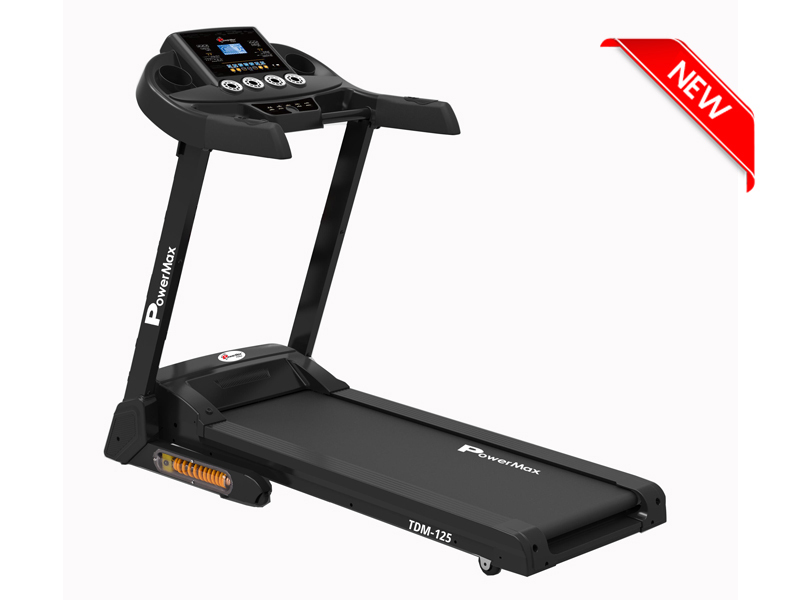 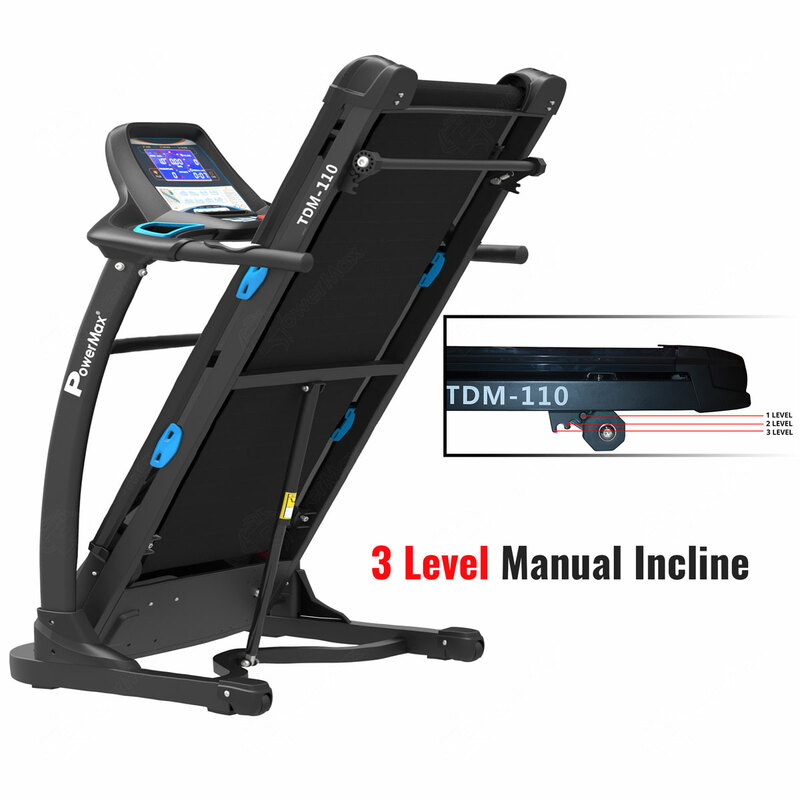 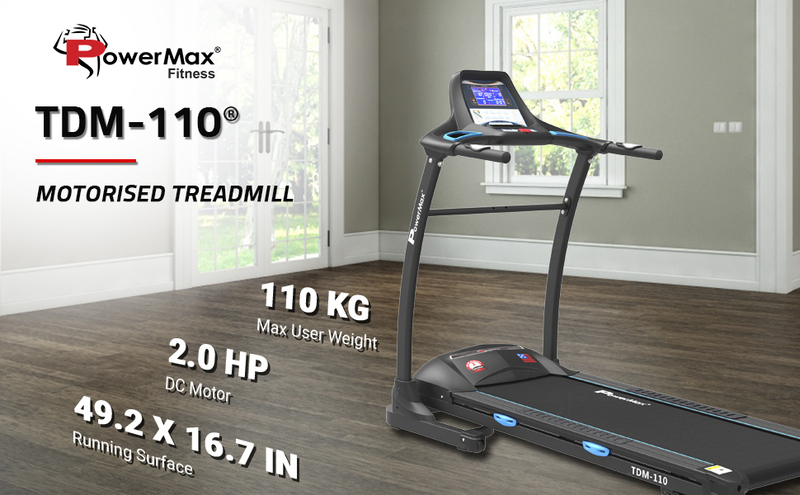 The TDM-110 Treadmill has pre-set program provides 8 set of pre-defined workouts that offers a variety of challenges and the 7.2” large LCD Vivid Color display with 400mm track UI- shows time, speed, distance, calories, heart rate. 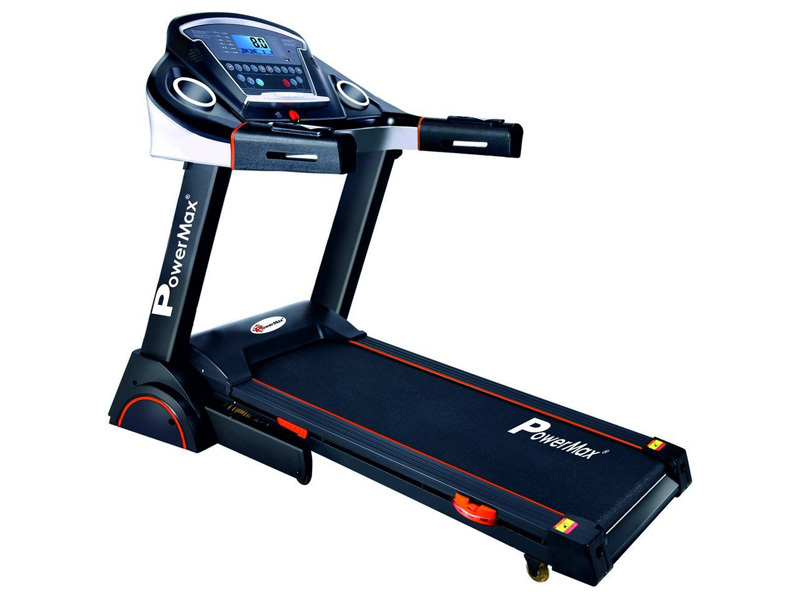 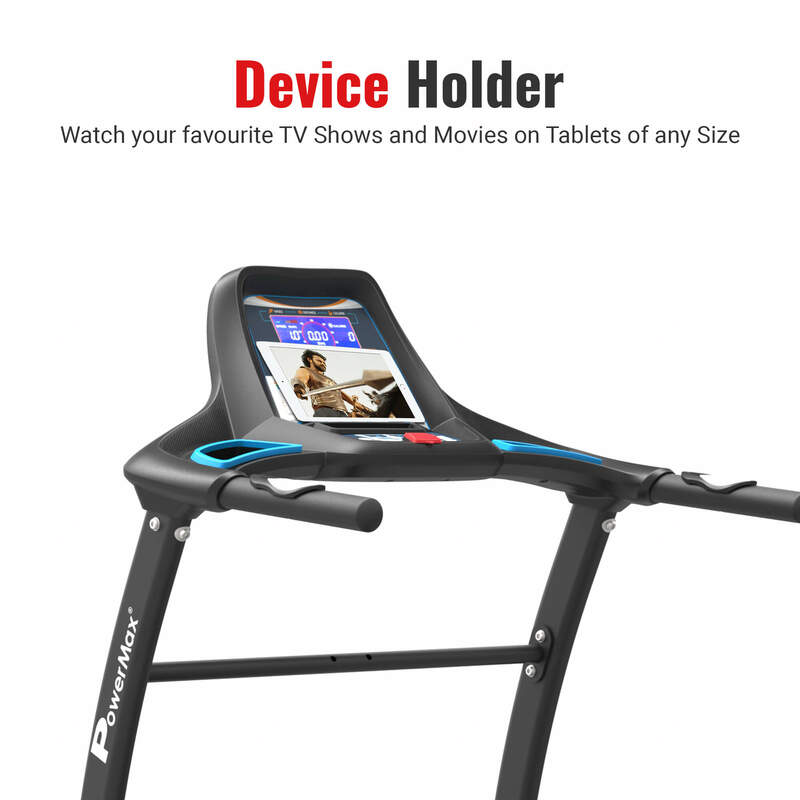 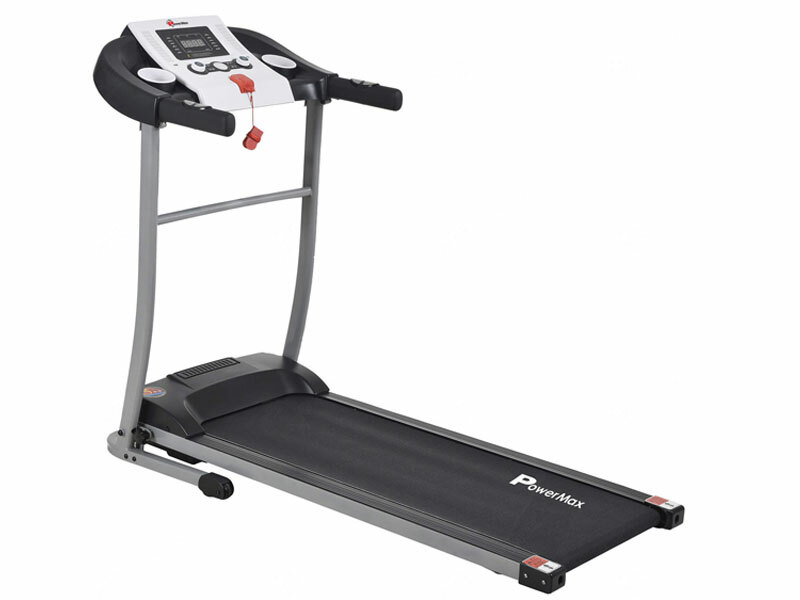 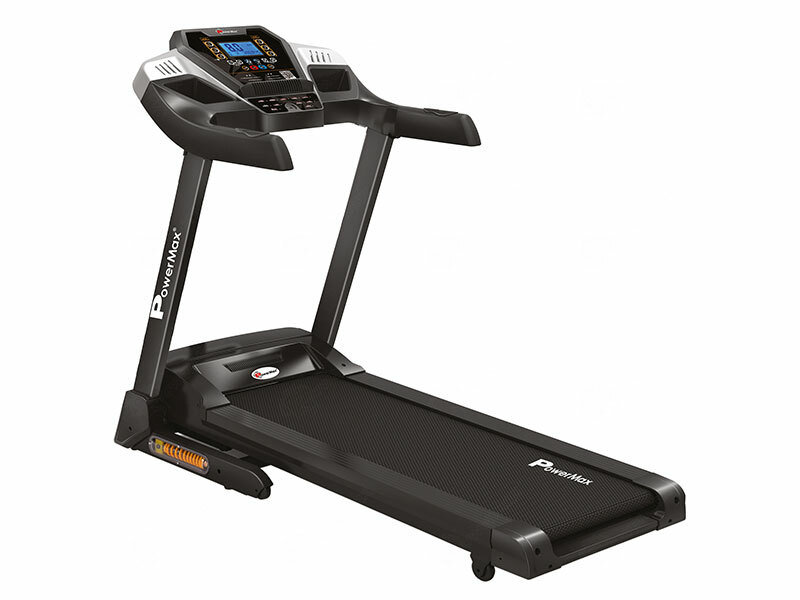 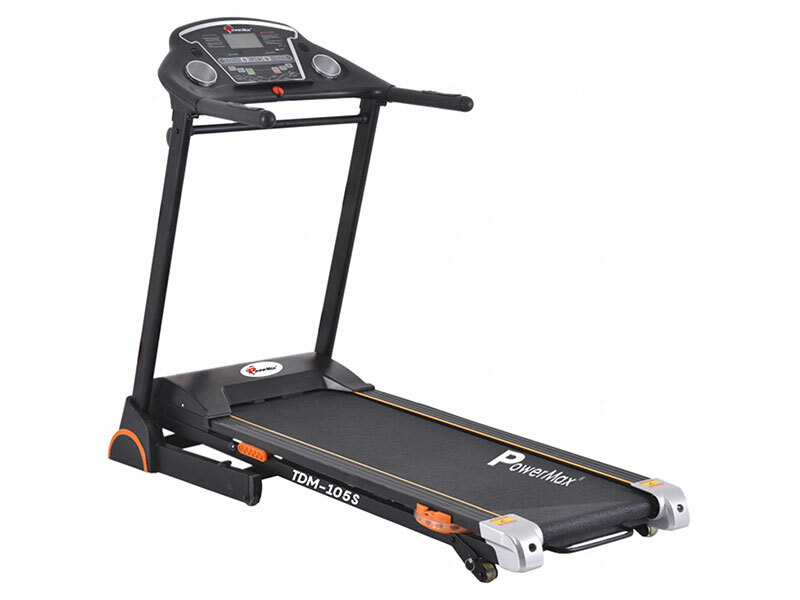 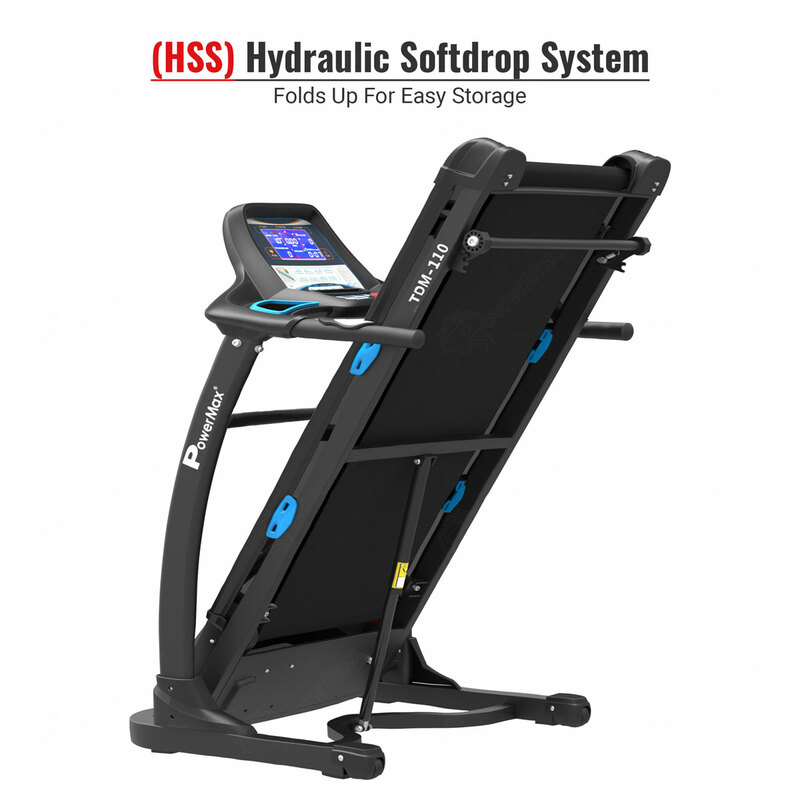 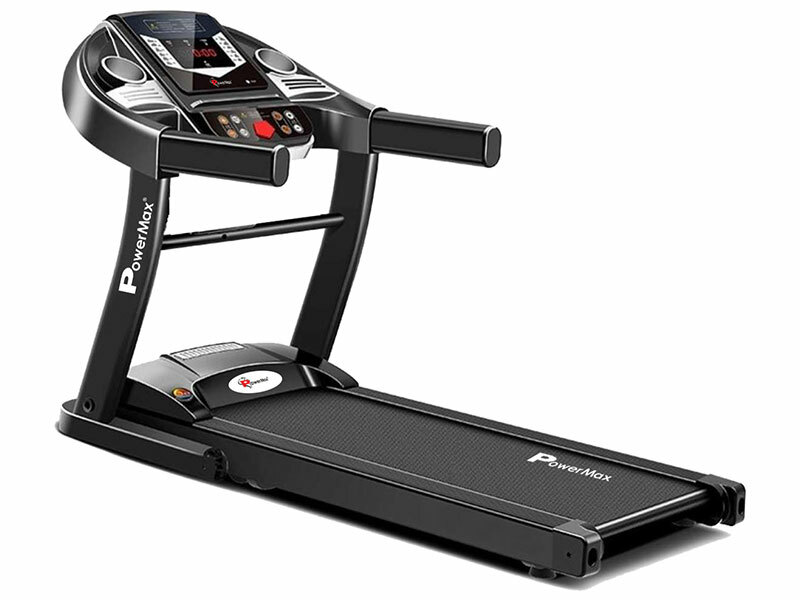 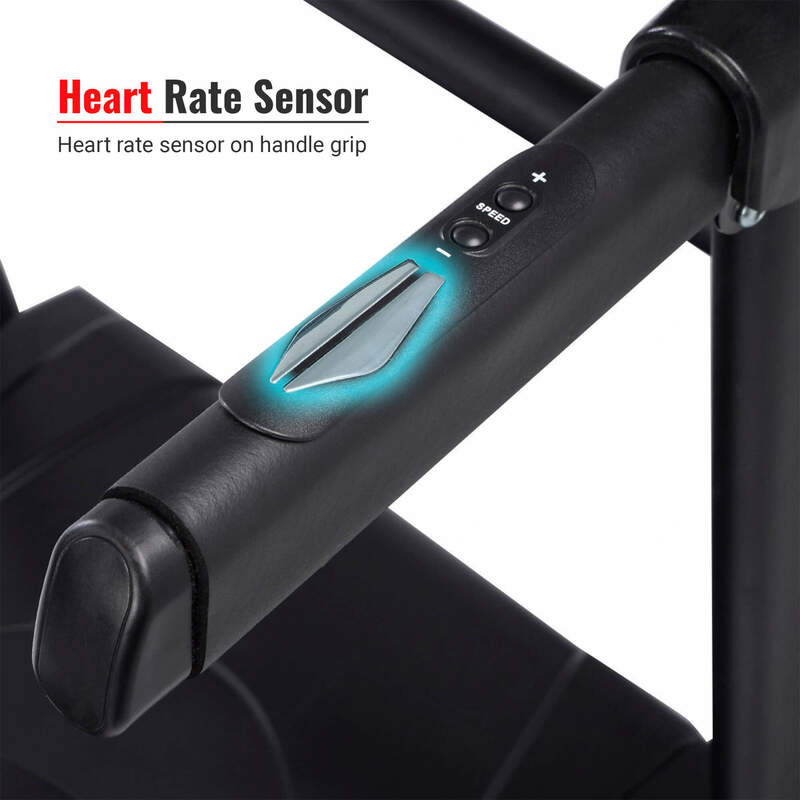 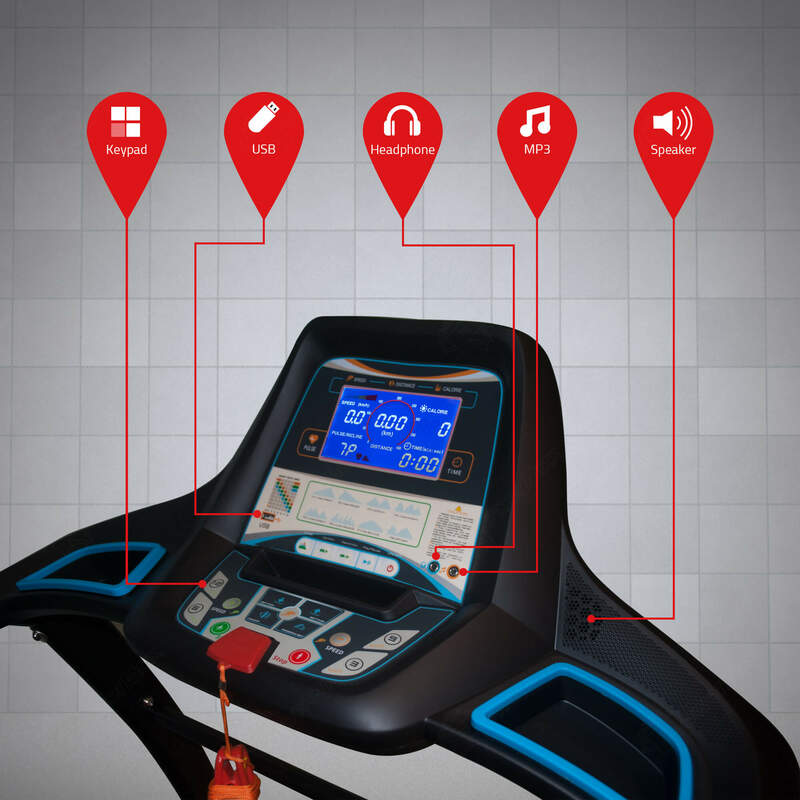 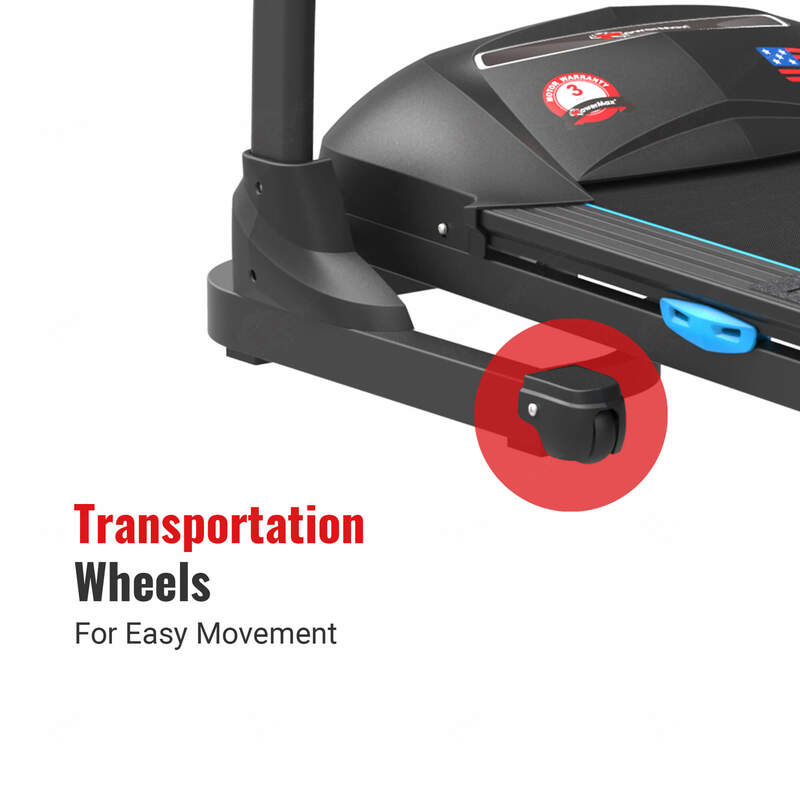 The treadmill has a built in auto-stop function, While running simply attach the safety clip to clothes and run as normal, it will auto stop if you fall or drift back dangerously on the treadmill; this auto stop function minimizes the risk of injury. 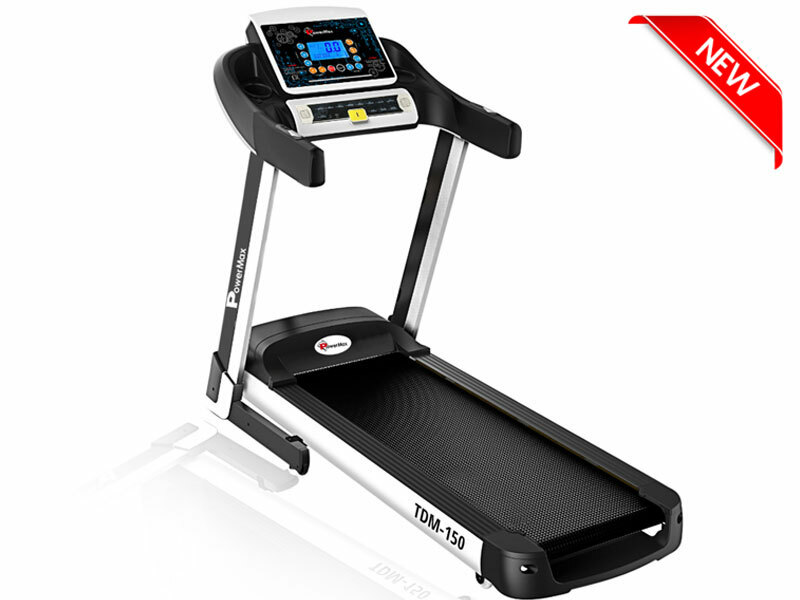 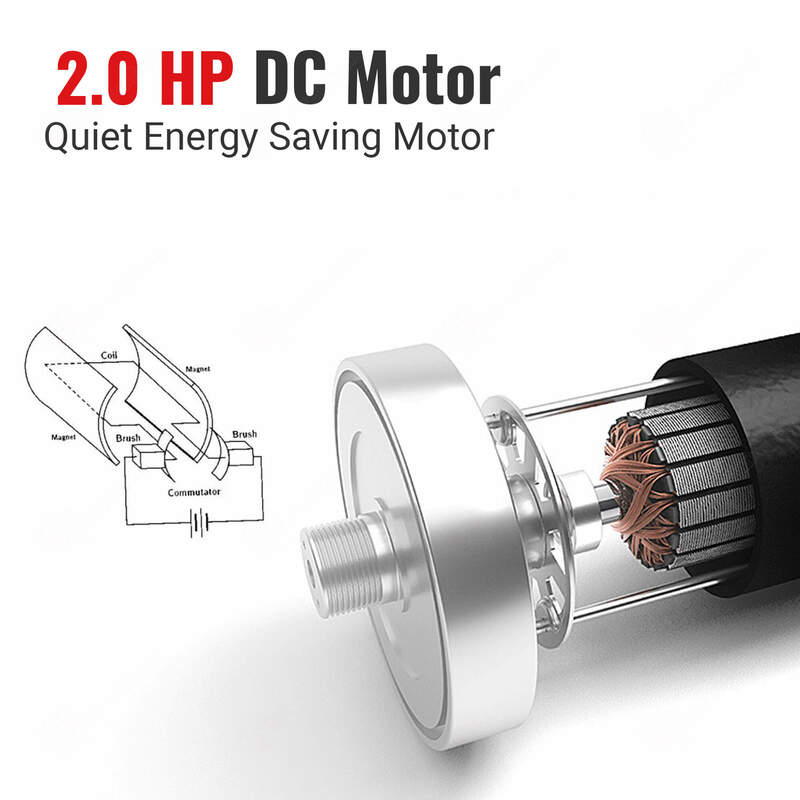 The TDM-110 has Precision-machined, steel crowned rollers with dynamic balancing keeps the belt centered and ensures smooth movement of running belt and increases life of bearings and running belt. 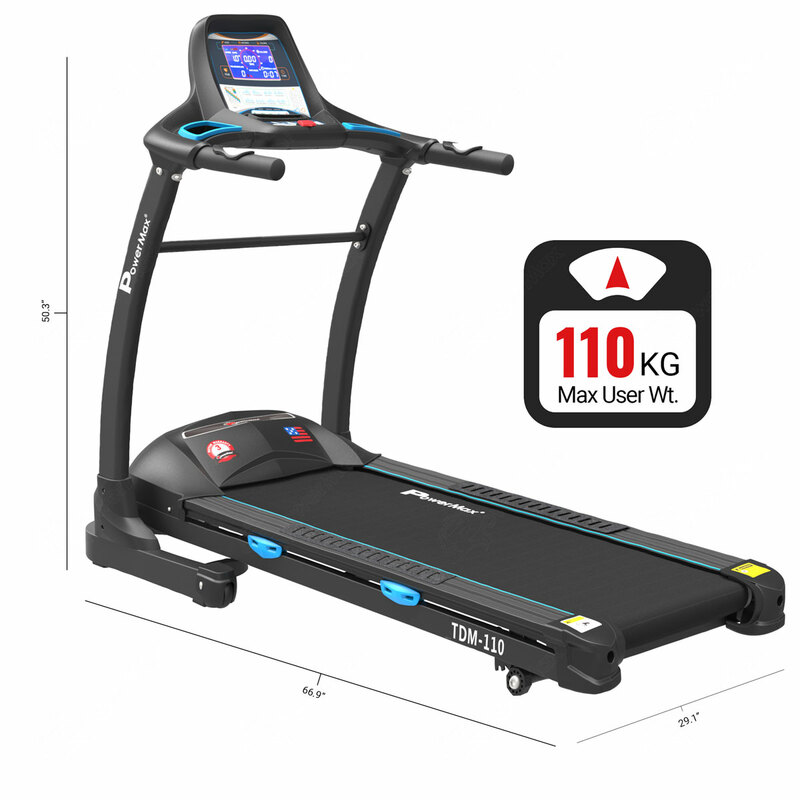 The Treadmill also has Heavy gauge steel mainframe with 3 layers of Quality paint prevents corrosion and ensures longer life of Treadmill.